Which is better: aquaponics or hydroponics? Many new growers are torn between two techniques: aquaponics vs hydroponics. Each technique has its potential; aquaponics draws you in with the allure of living creatures, and hydroponics with its precision and control. There is a plethora of facts and opinions out there. Unfortunately, many of them use blanket terms and generalization to rate each type of growing. In this post, you can expect an unbiased argument between the two techniques. We’ve outlined all of the benefits and challenges of both techniques for you. How do we know those benefits and challenges? We’ve got experience in both fields, we’ve used and made equipment for both techniques, and we recommend them to growers based on the grower’s specific situation. We know that it’s never as simple as saying one technique is better than the other. Aquaponics and hydroponics vary in finance, difficulty, materials, and set up. The main differentiating factor is the fish (or lack of fish). Simply put, the difference between hydroponics and aquaponics is that aquaponics uses fish to provide nutrients, and hydroponics uses formulated solutions. This post will discuss how that difference impacts the benefits and challenges of aquaponics (AP) and hydroponics (hydro). Dozens of the Upstart Farmers have found aquaponics to be a great marketing tool. Having live animals as part of the production process brings in an exciting element that attracts customers and opens up a lot of marketing opportunities. One of the reasons that aquaponics makes such a unique marketing angle is that it attracts the attention of consumers. A great example of a business that captures this appeal is Page 63 Restaurant in Sag Harbor, New York. This restaurant grows produce aquaponically in the restaurant and has modified part of the system as a display in the restaurant’s main dining room. Restaurant-goers get to eat unique, local produce, and many of the tables are situated next to beautiful fish tanks and clean white ZipGrow Towers. This unique experience brings in new customers for the restaurant. Of course, one of the greatest and most compelling arguments for aquaponics is that it is rewarding to raise fish. Most aquaponics growers choose aquaponics as a grow method at least in part because of the satisfaction they find in raising fish. Not only is it fun for the grower, but it makes events like tours, educational programs, and training more fun, too. While growers shouldn’t rely on fish sales for income (more on that below), aquaponic systems can be a great way to supplement your family’s dinner table. 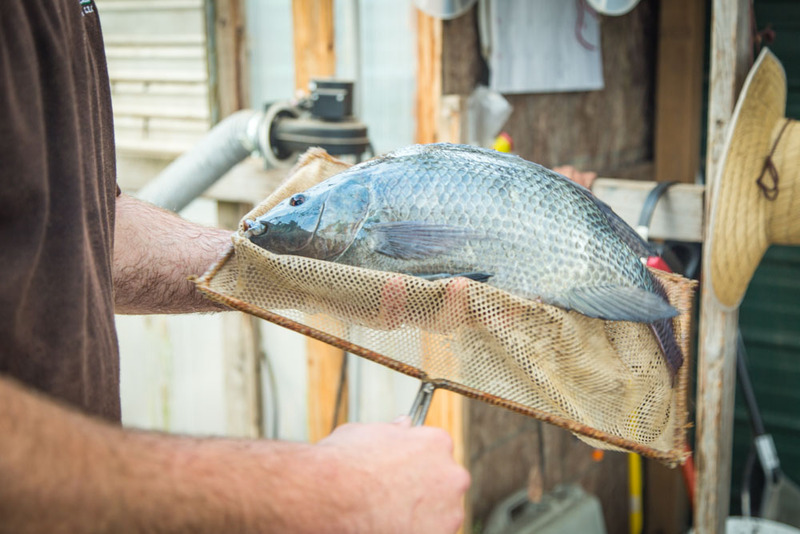 Many aquaponic fish like tilapia and catfish make for delicious entrees! One of the great things about managing a farm is that you can be flexible. Aquaponic growers can also be hydroponic growers and vice versa. In fact, we know several farmers who use both aquaponic and hydroponic systems side-by-side and take advantage of the benefits from both types of system. Though a wonderful grow method, aquaponics also has its challenges. The complexity of aquaponic systems can be a curse as well as a blessing, as it makes building and set up more difficult. The addition of fish tanks means that plumbing systems have to be split and more space has to be set aside for the fish part of the operation. In our aquaponic greenhouse here in Laramie, for example, we set up both a greenhouse, containing our ZipGrow Towers, sumps, and work areas, as well as a fish house containing fish tanks and storage for food and nutrient supplements. This required about 450 additional square feet and the purchase of additional materials like the fish house and plumbing components. Hobby growers using methods like media beds which are situated right above the tank might be looking at a slightly different space requirement. A second system run in our greenhouse used two halves of an IBC to constitute a tank and a media bed, one over the other. In this case, not much extra square footage was required. A very important constraint that aquaponics places on producers is a delayed starting time. To build the healthy microbial communities necessary for nutrient cycling, aquaponic systems must experience a fishless cycling period of at least 6 weeks before planting. After those 6 weeks, and for up to 18 months, aquaponic systems will see depressed production while microbial populations stabilize. Once established, however, aquaponic growers can experience great yields, sometimes even more than in hydroponic systems. A final challenge that aquaponic growers must overcome is the learning curve inherent with operating a complex system. Errors in management and unfortunate events can easily snowball and result in bigger problems. One fish death, for example, can affect the health of other fish, microbes, and plants in the system. Operators have more tasks to complete and more plumbing and biology to troubleshoot when problems arise. There’s no doubt that aquaponics is more difficult than hydroponics! If you were to compare a hydroponic and an aquaponic system with similar economic output, the aquaponic system would (typically) cost 30%-50% more to build out and implement. This puts aquaponic growers at a competitive disadvantage if they’re engaged in direct price-based competition with hydroponic growers. Many commercial farmers choose hydroponics as a growing technique because it is more controllable and fits into more convenient business models. Depending on size, management, and sourcing, costs for hydroponic production tend to be more consistent- and therefore more predictable. This leads to a sense of financial stability and can make accounting and ordering much easier on a business. Hydroponic nutrients are formulated and don’t vary month-to-month, and the amount of fertilizer used can be estimated within a narrower range than the food and supplements of aquaponics. Another benefit that hydroponics has to offer businesses is straightforward training processes. Since additions to the system are fairly consistent and troubleshooting is limited, managers can formulate their training of new employees fairly easily. Lack of fish and fish waste in the system removes dozens (or even hundreds) of steps from the GAP certification processes. There are fewer opportunities for contamination in the system. Certifiers may also be more familiar with hydroponic certification than with aquaponic certification, which could speed up the certification process. While GAP can be easier on hydroponics, another type of certification favors aquaponic producers: Organic. Hydroponics, with its use of a nutrient solution, is rarely seen as a good candidate for organic certification. Growers who want to be certified, however, should remember that there are some organic hydroponics fertilizer options that could help. However, many organic hydroponic fertilizers start with proteins, essentially mimicking an aquaponic ecosystem- just without the fish. Organic hydroponicists often have to cycle their system like aquaponicists and have to run their systems on a different EC scale than conventional hydroponicists. One argument that prospective growers might hear is that aquaponics is a cheaper system to operate than hydroponics. While fish food is usually cheaper than nutrient solutions, it is also used in greater amounts and usually has to be paired with other supplements for nutrients that aren’t available in the feed itself. Detailed cost comparisons should be done if you’re leaning on this reason to choose one or the other! Psst… if you’re struggling with a cost comparison, consider our Feasibility Workshop. Myth: Aquaponics = more income because you can sell the fish. One dangerous misconception about aquaponic finances is that aquaponic growers have an additional income stream in fish sales. In reality, it’s very difficult to compete with other fish producers and to find markets willing to pay high prices for fish. 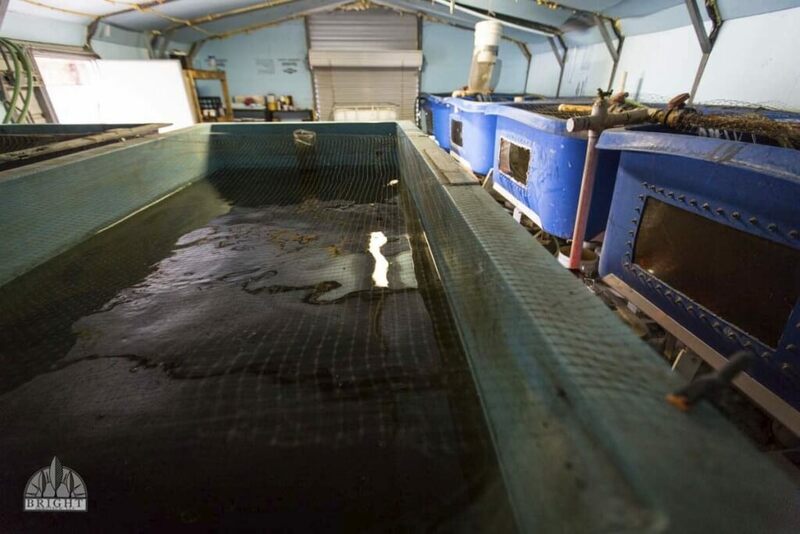 Additionally, consistent fish harvests require aggressive breeding strategies which require more space and equipment than that associated with an aquaponic system. Don’t be fooled by this argument! Just because hydroponics doesn’t involve living fish doesn’t make it boring. Running a farm of any kind is rewarding. Hydroponic growers get to find satisfaction in growing and harvesting unique and valuable crops and managing a growing space! I am 100% sure that any hydroponic farmer I know would confirm that their job is not boring when asked. It’s important to choose a growing technique that will serve you. We have found that most commercial growers wish to start with hydroponics as their main growing technique, while aquaponics generally suiting smaller or unique marketing niches best. Regardless of the technique you choose, the Upstart University team is here to help you every step of the way. Not sure which technique is for you yet? Dig in deeper at Upstart University. Upstart University has classes on both hydroponic and aquaponic techniques. If you want to “kick the tires” and learn about the growing methods more, grab a month subscription for $9.99 and start the journey to your farm. Should You Create Value-Added Products From Your Farm's Produce? 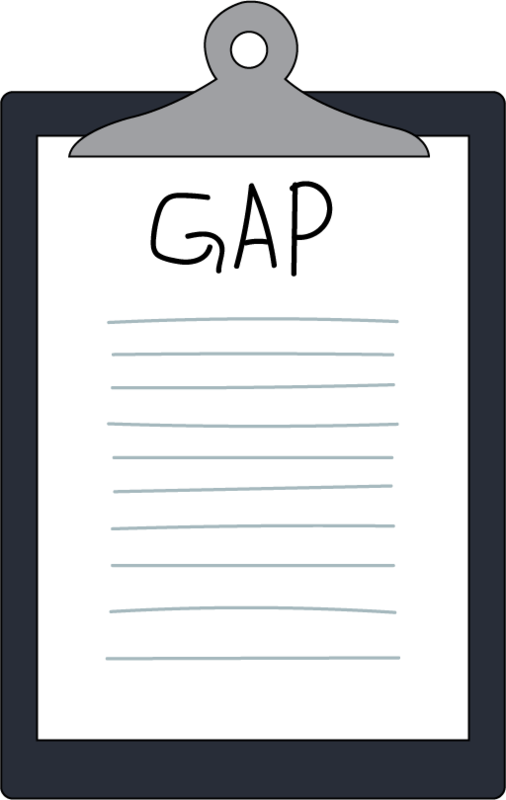 GAP certification is a great idea but terrible in practice. We have to jump through hoops here just to harvest and haul potatoes! We are looking to start up a veggie farm larger size like 1000 sq meters. We need guidance can someone contact us please. My school is enjoying our aeroponic Tower Gardens by Juice Plus+ to grow produce. They have a great Community Garden package that can have you up and growing in very little time. Very easy, very sustainable. I am willing to start a hydroponic system farm. But i am Unknown persons about this. What kind of minerals is needed in this farm water, about this cost effectiveness, profit, sustainability etc. planting holes total of 54 sites and a 50 gal reservoir conected by pipes allowing irrigation to the pipes and return by gravity to the reservoir. Sump pump, air pump,in line filter and drainage for necessary service. The one thing nobody tells you is how long and how often i should circulate the nutrient solution throught the roots, shall one leave fluid in contact with the roots at all times? or fluid should be recirculating 24 hrs /day.or minutes and how often circulate the nutrient fluid . Thank you very much for your help. If it is an NFT system, run it 24/7.